GIS makes tracking flu just a tad easier! 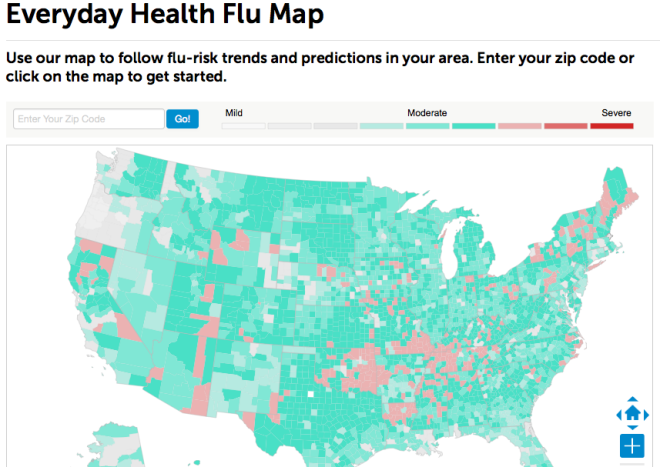 EverydayHealth.com posted a flu map of the United States to show flu-risk trends and predictions. You can either click on your state and county or enter your zip code to see how your area rates. The map is color coded with mild risk and predictions colored white, moving to moderate risk with a turquoise color, then leading to severe with pinks and then red as the most dangerous. Go and check out the map by Everyday Health!